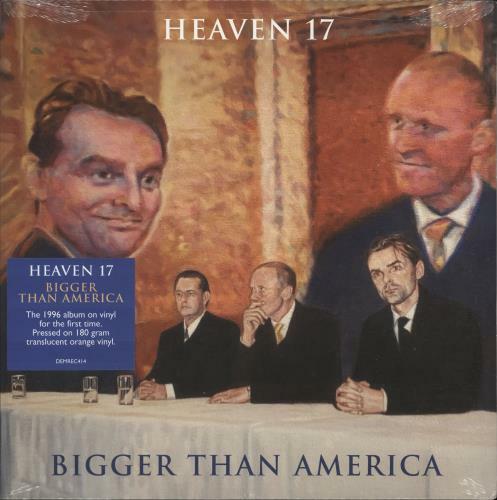 HEAVEN 17 Bigger Than America (2019 UK limited edition 13-track LP released exclusively for Record Store Day pressed on 180gm Translucent Orange Vinyl. This is the FIRST EVER vinyl pressing of their1996 album including the singles Designing Heaven and We Blame Love. 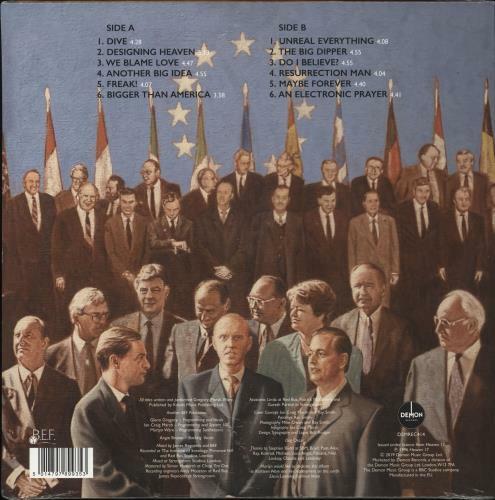 Complete with an inner sleeve features a previously unused painting, the vinyl is BRAND NEW & UNPLAYED housed in the picture sleeve which uses the entirety of Ray Smith's original cover painting and remains sealed within its hype-stickered shrinkwrap DEMREC414).